This tiny secluded cottage is hidden away in a corner of the walled garden of Roundwood and is ideal for inspiring country holidays. We think Hanzel and Gretel may have been the original tenants! 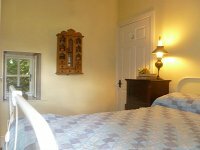 It sleeps 2 persons with one double bedroom. 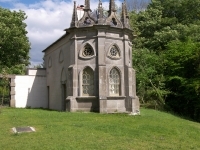 Travel Writer, Pol O'Conghaile, lists it in the Irish Independent as one of the "ten best Irish hidey-holes guaranteed to erase memories of the nine to five". * The fires will be set upon arrival but subsequent firewood, if required, can be purchased on site. * There is a large selection of books in The Writers Cottage and more available for borrowing in the Main House. * Breakfast and Dinner are available in the main house but need to be booked the day before. This cottage does not have a TV or DVD player and the kitchen really is a kitchenette with a 2 ring hob, convection microwave, kettle, toaster and fridge. There are no washing machine or dryer, however there are laundry services available in Roundwood house if required. 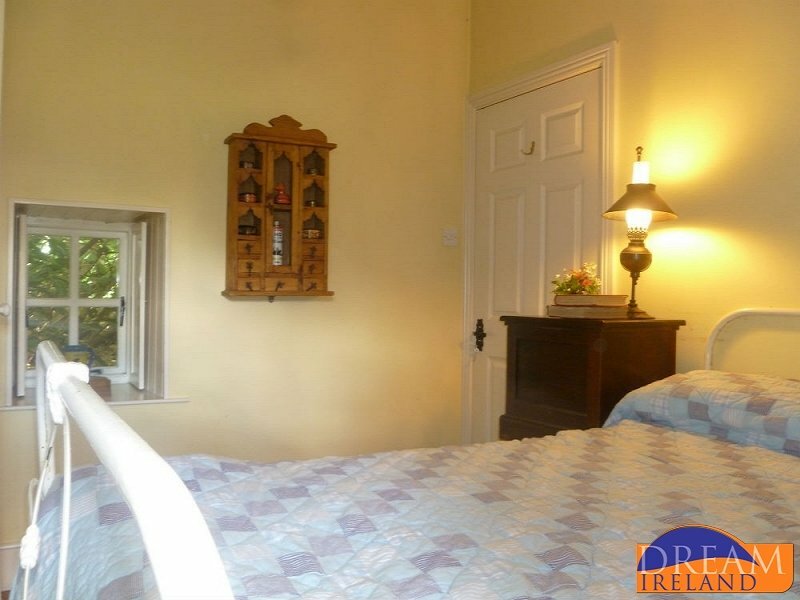 Roundwood House is a Country House offering B&B and dinner to guests in a delightful location at the foot of the Slieve Bloom mountains in Co. Laois. It is just 1 hour and 15 minutes from Dublin. Almost 300 years old, full of character and set in rambling gardens (18 acres to be precise! ), this property is family run with a relaxing charm. It is the perfect venue to celebrate special family occasions, private parties, small vintage weddings and corporate events. Roundwood House is run by Paddy and Hannah Flynn who featured in RTE's "At Your Service"
".......This is old school of Irish hospitality - understated, loquacious, arranged by people who have the time to talk to you and to take care of you. 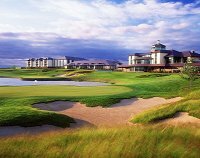 The result of thier patient, gracious care is that everyone feels special when staying here....Bridgestone 100 Best Places to stay in Ireland. There is another property on the roundwood estate called 'The Forge.......don't hesitate to contact us for availability and rates.